NintenGen: *Rumor* Square making a Secret of Mana MMO for Wii? 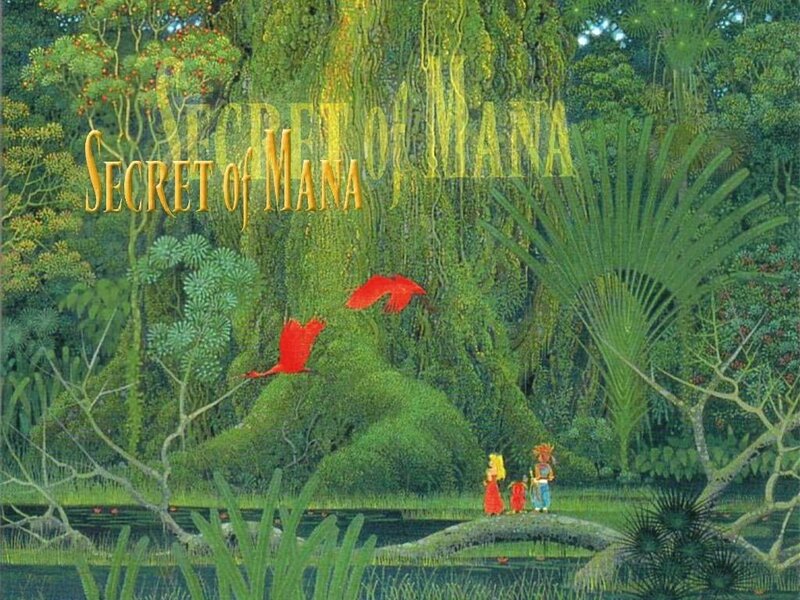 *Rumor* Square making a Secret of Mana MMO for Wii? Could these rumors that are supposed to be rumors in the latest EGM be true? I'm not too familar with Dragon Quest, but I am with the Secret of Mana games. Lets just hope. Thanks for the info metaldave. What do you think about it? Do you like the Mana series? Never played it,but looking forward to play it and will own it as well. Im a big fan of rpg games.ive seen videos of mana and has caught my eye but thats about it. Is it better than finalfantasy series? The Mana series is extremely good though and would sell great as an MMO. sorry i havent been able to post my codes for online play i will post them later on today 7/17/06. by 6:30pm est. ask gameon if he is down for maybe later on tonight with mariokart?. I haven't asked game on for his friend code yet. I'll see what he's up to. gameon has my code for mariokart, and i have yours.Hopefully we can get a first game maybe tonight?.also do you have metroid hunters? and can i have the code and tetris as well?. I have Hunters but not tetris. Lets work on getting a game of Mario Kart going first. Cool,looking forward to it man plain on leaving gameon by a lap or two. I'm not that great at the game myself because I'm always so busy doing this site or other things. I'll give you all a challenge though. I'm still waiting for Game on to give me his friend code. Oh please gods it woul be great. Secret of Mana just changed my life. The best game ever. Secret of Mana was the greatest game ever made I truly hope Nintendo does this I have always loved the mana series over all others but FF is 2nd. Square, Mana, and turds... Sad but true. Nothing will likely recapture the magic of the second two of the series. Everything i've read about the newest games they've released sound like they're a real let down. However, if they did release a Mana mmorpg, and it was on wii, and it really was, really really good!!! i might consider buying a wii just for it. Unfortunately, most mmo's don't hold my attention for more than two to three months at a time, so, even if it were good, it might be a waste of money for me personally. that's just my two bits. The idea has potential, but that potential could go either way. Mana just hasn't had the creative "love" other series have. I don't consider FF to be a series, more of a brand. Few of the games follow sequencially, wereas, as of Legend of Mana, the Mana world does have an established background, and with the two newer releases, they have had more back-to-back titles that relate to each other. The Best games ever made were Secret of Mana and Secret of Evermore. If they made a MMO for one of the for wii i might crap my pants.